This is a pre-order while we develop and launch our internal use only IPFS and block chain cert storage utility. Consider this our kickstarter package to help us develop the concept out proper! Support us if you believe in the cause! Consider purchasing a business level cert to support us or get a monthly sub with your free cert! Totally optional! All free certs are unfortunately put on the bottom of the registration pile in relation to paid certs. Certs are not being entered into the cloud at this time. We will announce when we officially start inserting the data! These certs are not for products and professionals/businesses! Use the link below to purchase a preliminary professional cert and to support our project's growth. We offer a paid tier of Level 1 certs for professional or product use. You can also support us by purchasing a monthly update service with your free cert if you would like to support the growth of this concept! 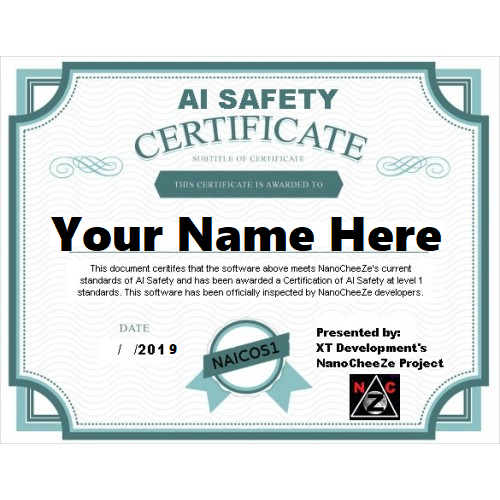 All certs will be registered into an IPFS file/dir and then the hash and name of the cert owner will be written into the NanoCheeZe block chain. 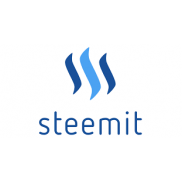 Free personal certs will be entered into the cloud and block chain as resources permit. This is essentially a declaration that you are mindful of the future regarding proper AI creation and ethics. Also note that certs will be available to non-profit and open source projects at no cost in most situations and will be provided as time permits on a first come first serve basis. 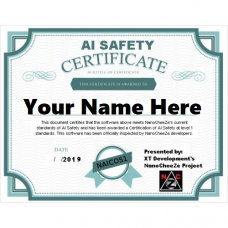 Signing up for this certification also makes a statement that you are committed to AI safety and that you support our project and what we are doing to maintain order on this level regarding this technology. You can optionally upload a file as well if there is anything relevant to you that should be included in your IPFS files. terms and conditions of this certificate are subject to change and details are not yet finalized. taxes included in sale price if applicable. Please note that even if you choose not to opt for an NDA that we adhere very strictly to respecting your privacy and intellectual property. Not asking for an NDA will be respected in the same way as if you had. The NDA option is only to cover our legal fees on our side to have our lawyer look over any actual legal paperwork we may be required to sign. If a discount code does apply to NDA costs, we reserve the right to retract discount on NDA costs if legal costs require so. 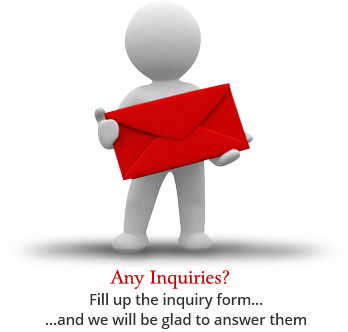 Basically we respect your privacy and property and are willing to work with you in whatever way is needed on a case by case basis. Also a generic NDA will be available to all customers for free once we grow large enough to have one drafted. We will have that NDA drafted with the sales of our first few certs. Both a printable and digital certificate will be issued for display physically or in web content and/or software. 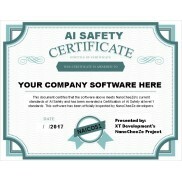 Your software will also be listed on our pages of officially certified software for others to verify your certificate is official! 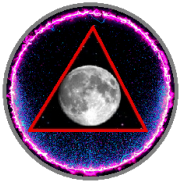 *Monthly service does require payment through PayPal if selected through the website directly. If you do not want to pay with PayPal you can setup your recurring payments choice with us directly. For free certs this will get you priority registration and the ability to update your cert, and it supports us more than anything!